In certain situations, it may be the case that it is best for a child or someone unable to care for themselves to be removed from the care of his or her parents or other caregiver. Sometimes, this is the result of intervention by the state, such as in cases where abuse or neglect comes to the attention of the Missouri Department of Social Services. In other cases, a concerned relative or close friend may come to realize that it may be best for a child to be removed from his or her home. In this situation, that adult may file a guardianship action in order to request that the court temporarily or permanently terminate parental or current guardian rights and allow that adult to care for the child. These actions must be initiated by an adult, because a child may not sue on his behalf in Missouri. Courts are often hesitant to terminate parental rights and break up families, so it is important for anyone considering pursuing a guardianship action to discuss their case with an experienced St. Charles guardianship attorney. With over 2 decades of experience practicing in family law and as Guardian ad Litem (GAL) in family and probate courts, attorney Kenneth. P Carp has the skill and experience necessary to effectively represent clients seeking guardianship, and works hard to bring each case he handles to a successful resolution. 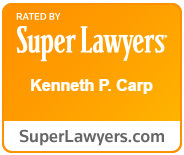 Call (636) 947-3600 today to schedule a free consultation with attorney Kenneth Carp. btaining a guardianship can involve a significant showing of evidence supporting your position, so it is important for those seeking a guardianship to retain experienced legal counsel to ensure their case is presented in the strongest way possible. Similarly, if you are opposed to a guardianship because you believe that you do not need a guardian or that you are capable of caring for the individual in question, it is equally important to hire an attorney that will advocate on your behalf. A guardianship for a child may be appropriate if you believe their parents or current guardian is incapable or unwilling to provide them with necessary care. An adult guardianship may be appropriate if an adult relative has lost the capacity to make important medical and/or financial decisions for themselves due to a disability, injury, illness, or degenerative cognitive condition. Is there anything I can do to avoid a future adult guardianship case? There are legal tools you can use in the estate planning process that can help avoid the need for a guardianship case in your future. For example, if you have documents in place such as a durable power of attorney and/or health care directive, you can designate someone to make decisions for you and, therefore, you should not need a separate guardian. It is important to discuss such planning with an experienced estate planning attorney. What if someone is trying to fight against the guardianship? There are many cases in which someone tries to challenge the need for a guardianship. Challenges can be brought by an adult who does not want to become a ward and thinks they can make their own decisions or by parents trying to retain rights to raise their child. In addition, outside family members can challenge either the need for a guardianship or whether a specific person is the best choice to be a guardian. What if I do not believe that a guardianship is appropriate? If you are wanting to challenge a guardianship, it is critical to call a highly experienced guardianship attorney as soon as possible. These cases can involve a significant amount of medical and circumstantial evidence and you should always have skilled representation. A legal guardianship lasts for as long as it is needed. For example, for an older adult with Alzheimer’s, a guardianship will likely last the rest of their lives. For an adult who is seriously injured in an accident, a guardianship may be terminated when they regain the ability to care for themselves and make decisions. For children, a guardianship may be terminated if parents prove they are capable or if the child turns 18 and can care for themselves. Assistance if a guardianship is no longer needed. Whether you are seeking or fighting a guardianship action, you should consult with an experienced St. Charles family law attorney as soon as possible to maximize your chances of obtaining a favorable result. To schedule a free consultation with attorney Kenneth Carp, call our office today at (636) 947-3600.